No, I didn't disappear off the face of the earth, I did however disappear into mountains of school work that just seem to grow and grow. The mountains of homework is due to the fact that the dreaded "back to school" posters returned and then I returned back to school a week ago after a very nice and very long summer. I havn't had any time to shoot any outfit posts recently, but I don't like to leave my blog this long without some sort of update, so I decided to do something different which I guess you would have already seen from the title - a 'Fashion Tag'. I'm pretty excited, as I've read and watched these 'tag' posts and videos for years so now I'm answering the questions. Is it weird that I'm nervous? Okay, let's get into it before I manage to ramble myself into forgetting the point of this post. 1. What is your favourite style to wear? I think that at my age it's hard to put the label of a certain style on your wardrobe. My style changes depending on my mood at the moment, I mean I'll always have my statement style; a pair of skinny jeans, ballet pumps, a blouse and a statement jacket or coat. However, I can easily be rocking a head to toe sporty chic outfit one moment or a typical classic girly girl outfit the next. So for now I'd like to say my favourite style is a little bit of everything; girly, classic and a little bit sporty. Or in other words I have what you could call a 'city girl style'. 2. Who is your fashion role model? First of all, let's tweak this question just a tad... "favourite fashion role models" because I don't have the decisiveness to pick just one of my favourite fashionistas. Let's start with Olivia Palermo who is the epitome of classic cool girl chic. I have actually done an entire post on my love for her style which you can see here! I love the way Olivia Palermo is able to make a pair of jeans, trainers and a white shirt seem like a whole new trend every time she wears it. My next fashion role model would have to be Blair Waldorf although yes I know she is only a character from (my favourite) tv series but her wardrobe is something I'd break the law for. Blair is definitely a large part of my fashion inspo, she's able to wear any outfit with so much confidence and her character for sure gave me the confidence to experiment with my own wardrobe. When talking about fashion role models I couldn't not mention Cher Horowitz, who again yes is a character from a movie but she's one who I again greatly envy the wardrobe of. (if you also die for clueless fashion I recommend you look on the Zara website atm!) I love the two pieces, cute little skirts and yes the "Alaia coat". Last of all for my fashion role models, I have to mention Selena Gomez who has had an absolute fashion transformation recently and I just can't get enough of her distressed, casual and enviable new style. 3. What do you always have on? Now, I have to admit when I first saw this question the strong sarcastic force within me immediately said "clothes, duh" which was followed by an eye roll but I'm not completely clueless so I did know what this question meant. So to answer the question seriously, something I always have on is my Tiffany & Co Necklace and my Michael Kors bracelet. 4. What are your favourite jeans? 5. What are your favourite sunglasses? Sun is sometimes just an old myth here in England, but regardless of that I do like to always have a pair of sunglasses on me even in the cold because (#lifehack) wearing sunglasses in the cold will stop your eyes from streaming and your mascara running. So my favourite glasses would probably be my classic shaped, tortoise shell coach sunglasses that are the perfect classic pair that I can wear throughout all the seasons. However I do also love my Rayban aviators for summer! 6. What are your favourite shoes? For sure ballet pumps! I think that ballet pumps are the perfect pair of shoes that will go with pretty much every outfit; jeans, skirts, dresses etc. At the moment I love french sole ballet pumps, but in the future I would love to invest in a pair of Chanel ballet pumps. 7. Who influenced you to write about fashion? I'm not sure I could really answer this question all that simply. I mean, writing wise I've always been a bit of a literary geek and I've always loved writing. And at the same time, fashion had always been a large part of my life and my personality so it was more a moment of putting two and two together and reading other blogs and thinking 'okay I could do this'. So I guess what influenced me to write about fashion was a mixture of other bloggers and my own passions. 8. What is your favourite store? If you are a recurring visiter to my blog then (first of all hello again) I think you could probably answer this, but for the sake of new readers the answer is, Zara... duh. A couple of years ago Zara was the place I would go every now and then if they were having an alright season but as of the end of last year and this year it's become a dangerous shop for be to even pass for fear of spending all my life's savings, no exaggeration. I absolutely love Zara as a store, I think they have the perfect range of classic items, trend pieces and overall affordable yet good quality clothes. I'm always able to find something I want from Zara and I think that the majority of my wardrobe is starting to look like my local Zara store. oh woe is me. 9. Who is your favourite fashion person on the media platform? In the modern age that is the 21st century, the social media platform is so important, in fashion especially. I - like many others - am so inspired by the bloggers and vloggers of the world. I definitely slightly lean towards bloggers either because I like to read posts or maybe because they're doing the same thing as me and their success inspires me greatly. 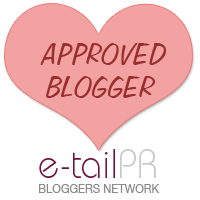 I do have a long list of bloggers who I look up to and I think it would take me more than just one blog post to talk about them all but if you want to see more than the ones I'm about to list be sure to have a look at who I'm following. Now, my favourite bloggers, hmmm... When reading a blog I love being able to see a persons personality come through their writing, I think it really is amazing. 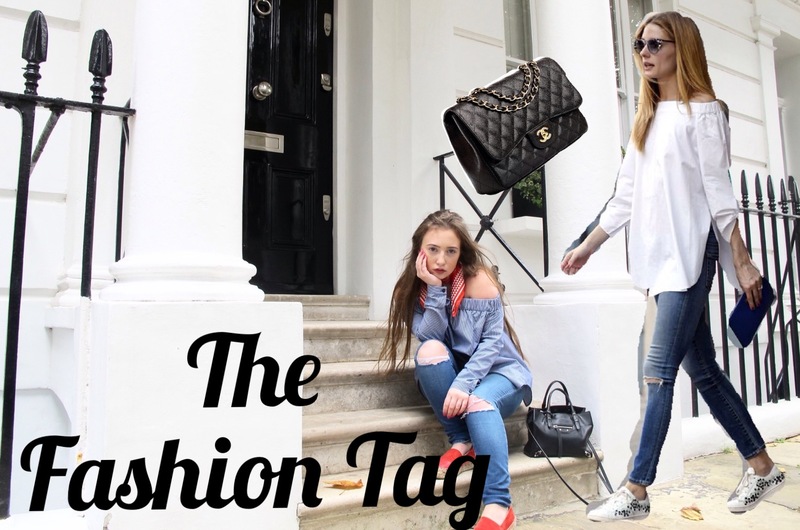 So for that reason some of my favourite bloggers have to be; Sophie from Fashion Slave, both her fashion style and style of writing always have me smiling. Another blogger I love is Diana from Sweatshirts and Dresses who has the most amazing style. Her outgoing style and mix of luxe and high street never fails to leave me envious of her wardrobe. Because my tendency to babble is clearly evident in this answer/novel I'll only mention one last blogger, but it would have to be Tanya Burr. I think that Tanya has such a gorgeous sense of style as well as a personality that shines through her writing and her success through her blog really does inspire and motivate me. 10. What is your favourite fabric? Prior to the take over of underwear as outerwear, I would have been slightly put off by this question but now I can whole heartedly say my favourite fabric has to be silk. I can't get enough of the sophisticated, put together and effortless vibe that a simple silk slip can emit. 11. Who is your favourite model? Now, this question seems a little random, so I'm going to interpretate it as who has your favourite "model off duty" style. And to answer that question it would have to be both Gigi Hadid and Kendall Jenner who have such a cool style and seem to be able to throw a bomber jacket and trainers on with anything and look like they just walked off a runway. I also have to mention Rosie Huntington-Whitely who again makes any outfit look 100% effortless. 12. If you had £5000 to spend on any item, what would it be? Okay, let's be real I've thought about my answer to this question more frequently than I'd like to admit. However, I'm again going to presume I can spend it on more than one item. I would first speed walk my little legs to the Bond Street Chanel store and purchase a classic flap bag with gold hardware. (Yep not thought about this before at all, wink wink). Which would leave me with roughly £1020 (totally not roughly at all, I researched this). So I would spend my remaining £1020 on a pair of Valentino Rockstuds and a pair of Chanel ballet pumps. Okay this is a tricky question for me to answer. I love flats as they're comfy, look nice and are practical to wear. However since I'll again mention I'm 'vertically challenged' and so I love heels as they stop me from getting whiplash from constantly looking up at people. So, no I don't think I can answer this. Sorry. 14. What Handbag do you currently carry? Currently, I carry (aka I am attached to) my Balenciaga black cross body papier bag that I got almost 3 years ago. It may be the most expensive accessory I own, however cost per wear wise it is probably worked out to be my best purchase so far. It is the perfect classic everyday/evening bag that can be worn with any outfit (trust me I've tried) and is the perfect size. I think when investing in a handbag, unless you have already got a selection of classic bags, you should go for simple designs that are going to pass the test of time. 15. Is fashion in your blood or your jeans? Let me just say I'm pretty sure genes is spelt like 'jeans' as a sort of ironic fashion play on words but incase it isn't let me just say I copied it from someone else so... But to answer I would for sure say fashion is in my blood. My mum is very into fashion and is someone I will always trust when buying new clothes or styling outfits. My mum experimented with her style a lot when she was younger and I always love to look back at the photos of her and her fashion choices (good and ... interesting). My grandma is also very into fashion so I again go with the fact that fashion is in my blood. But, I also think that fashion is in my 'jeans' since I'm always taking inspiration from current trends and current times. So to answer, a bit of both! Well, that was fun. I loved answering these questions, they really got me thinking! I challenge anyone reading to either leave your answers in the comments below, even just answering one or two questions or writing your own blog post answering these 15 questions. Thank you Sharon, it was fun to answer the questions !! Thank you! She really is the best at effortless style! Thank you, Gil! You too!